For those asking for the basic nitty gritty of a 1031 Exchange, this is your class! 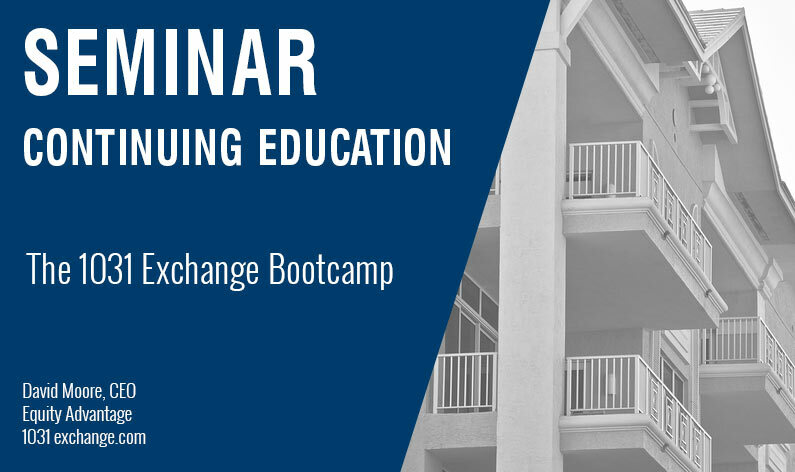 Learn the basics in our 1031 Exchange Bootcamp, what qualifies and how to apply the process. 2 hour class: Plan to attend Wednesday October 24th, 2018 9:30 – 11:30 am Register at 503-619-0223.